Washington native Alex Hager wants to make sure you’ll remember him after you see the music video for his debut single, “Drive Me Crazy.” The video is an impressive and hilarious hodgepodge of different television spoofs and parodies that make you feel like you’re flipping through channels on your T.V. It’s a bit confusing trying to figure out where the whole thing is going at first, but eventually the transitions don’t feel as stark and it’s exciting to see what show Hager will imitate next. The video opens with a play on the intro for 90’s hit T.V. show “Full House,” with a fuzzy shot of the Space Needle replacing the iconic image of the Golden Gate Bridge, since Hager is originally from Gig Harbor, Washington. It’s immediately clear that Hager has a sense of humor and isn’t scared to look silly or make fun of himself – several of the characters he plays are nerdy and outlandish (like the character in the soap opera). One of the most creative scenes is the Sesame Street spoof, in which Hager plays guitar and sings with a puppet while the lyrics pop up on the screen in a sing-along type fashion. For those who remember rocking out to the likes of All Time Low and Boys Like Girls at maximum volume in their rooms, “Drive Me Crazy” is a testament to the good old days. For everyone else, it’s a breath of fresh air from current radio hits that might be just a little too serious or over the top. More than anything, “Drive Me Crazy” is a straightforward song about – what else? – young love. Hager’s voice sounds like a mix of Tom DeLonge from Blink-182 and Tyson Ritter from All American Rejects, with classic pop-punk enunciation and tone of voice. Musically, it’s much closer to the likes of All American Rejects and The Maine: A gleaming pop-rock sound with a pop-punk emotional pull. The track features smooth, fluid guitars and drums that support Hager’s vocals, the clear driving force behind the track. Lyrically, it’s everything a teenage summer anthem should be. In other words, if “Drive Me Crazy” doesn’t get stuck in your head right away, you’re probably lying. At first, the music video doesn’t seem to visibly match the song, since it comes off as completely random. If anything, the MTV pool party scene appears to reflect the song’s vibe most accurately. Some bands do this intentionally, of course, like One Direction in their “Steal My Girl” video, for example. But after watching Hager’s “Drive Me Crazy” video again, it becomes clear that at its core, it matches the song perfectly in its most important aspect: fun. “Drive Me Crazy” is an incredibly fun song that makes you want to get up and lip sync like you’re at a high school talent show with no inhibitions. The accompanying music video reflects that lighthearted, yet passionate, feeling to perfection. So, who is Alex Hager? He’s a self-proclaimed “geek at heart,” which is one of the reasons his music trends towards the romantic pop realm. 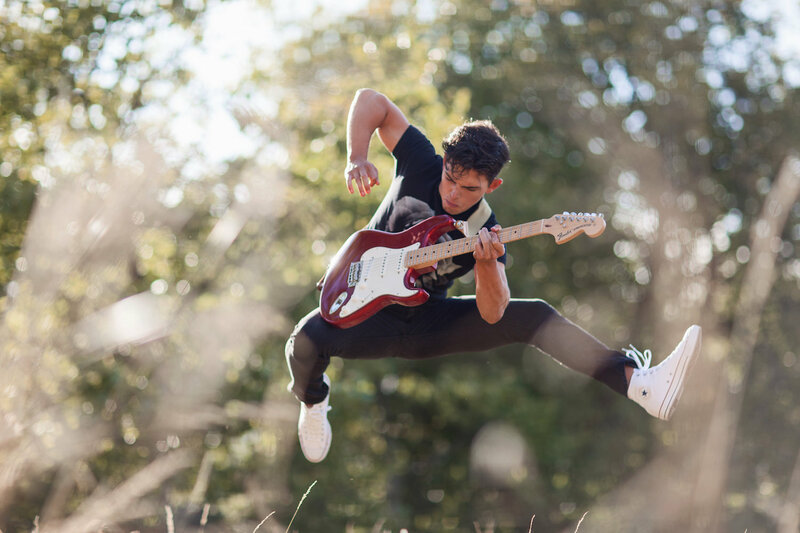 At just 20 years old, he’s confident music is what he wants to do as a career, even though he was discouraged by his high school peers to the point of selling his guitar. Since then, he’s drained his bank account to work with top notch producers and Hollywood camera crews to get himself ready to break onto the scene, he said.